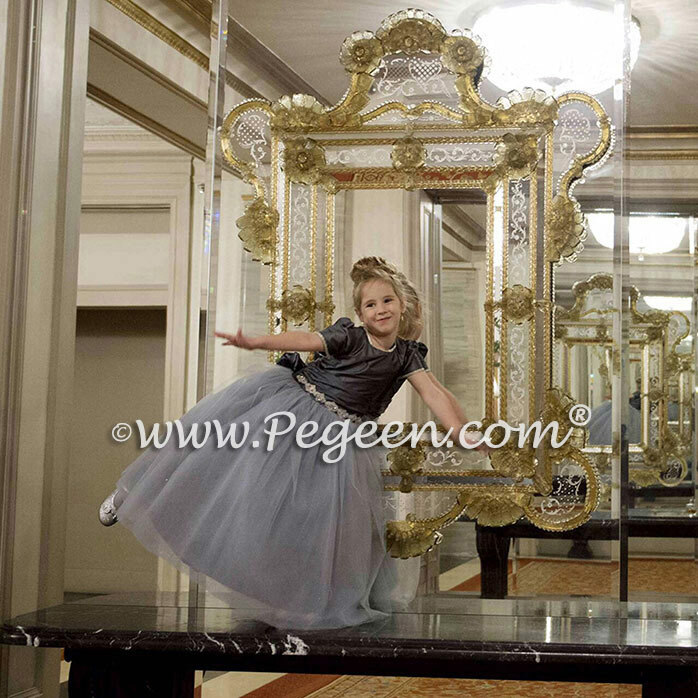 This pretty little flower girl dress was Style 359 from our Pegeen Classic Collection. Her dress is available in 200+ colors of silk and an mix and match the colors. On top of the skirt is a full layer of organza. 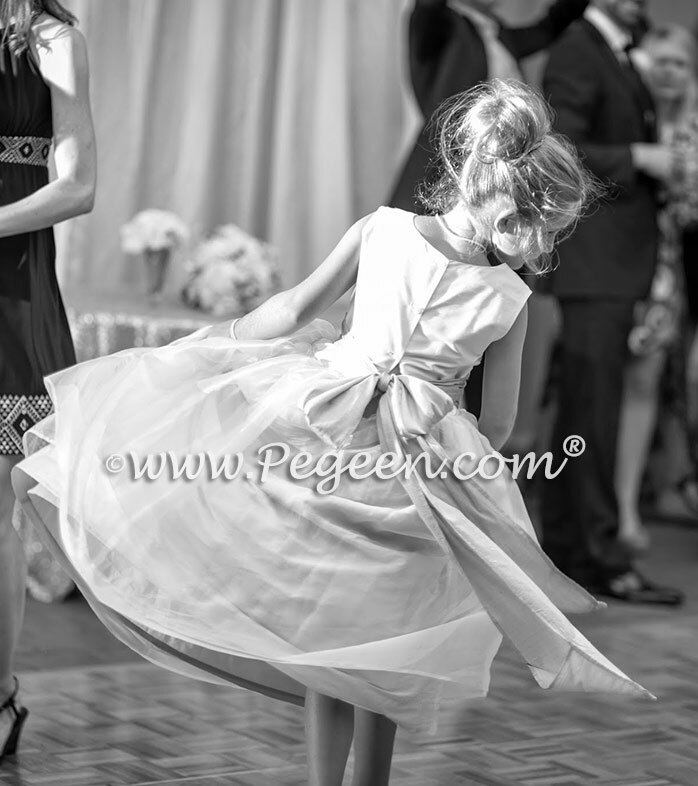 And of course – for this young flower girl, its all about the swirl! 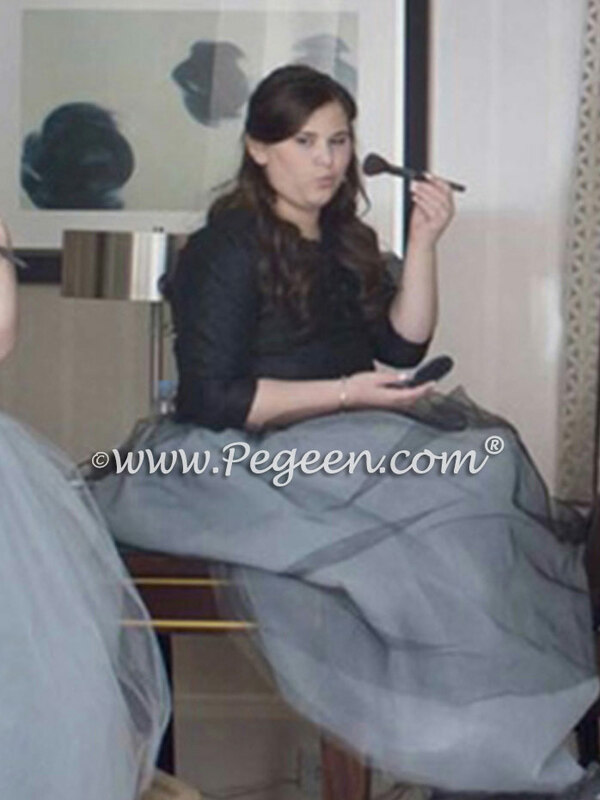 January 28, 2017 / Bat Mitzvah Dresses, Black and Gray Themed Weddings, Gray Flower Girl Dresses, Jr. 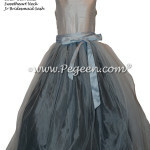 Bridesmaids Dresses, Tulle Flower Girl Dresses / Comments Off on Add a little bling to your flower girl dresses and WOW! 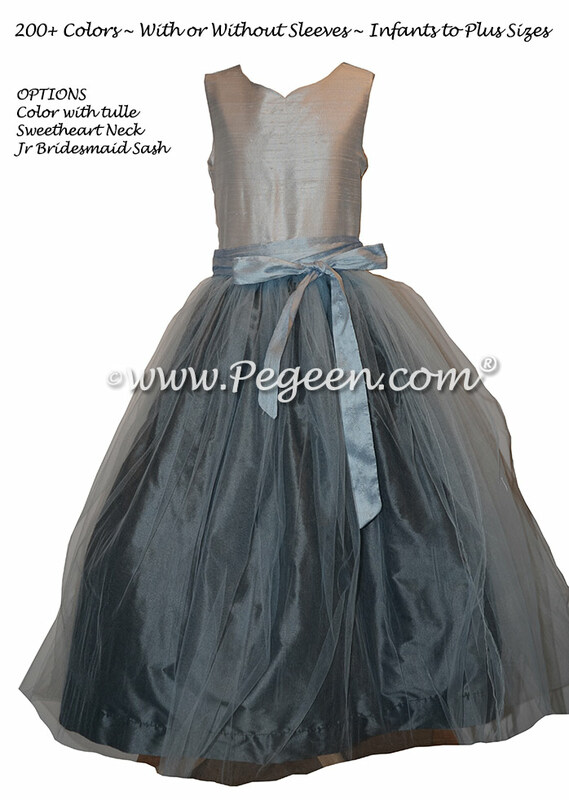 One of our Jewish customers asked us a little while back if we could create dresses for her family’s upcoming wedding. 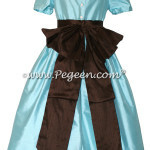 She needed longer, 3/4 sleeves for modesty purposes and Pegeen is just the company to make those changes for them. In all there were over 10 girls ranging from a one year old to a very sophisticated young lady whom I had the pleasure of personally meeting during their visit to Disney World (Pegeen just a mile away from the actual entrance). Her mom was afraid she would feel like one of the “kids” and we decided to make her style slightly more grown up with a black silk pintuck with pearls on each corner in silk. 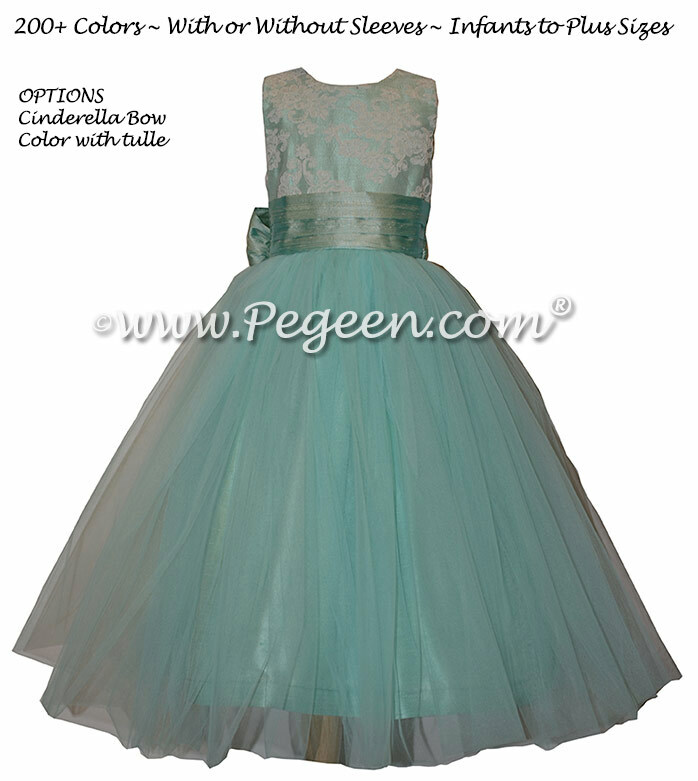 Each of the age groups had slightly smaller changes – the tiniest girls had 1/4 cap sleeves. The 4 and 5 year old’s had short sleeves and the rhinestone trim at the neck and sleeves was slightly larger and they had a bit more bling at the waistline than the infants and toddlers. The 6-to-10 year old’s had even larger trim as well as a really pretty medallion of bling and rhinestones added to the waist. 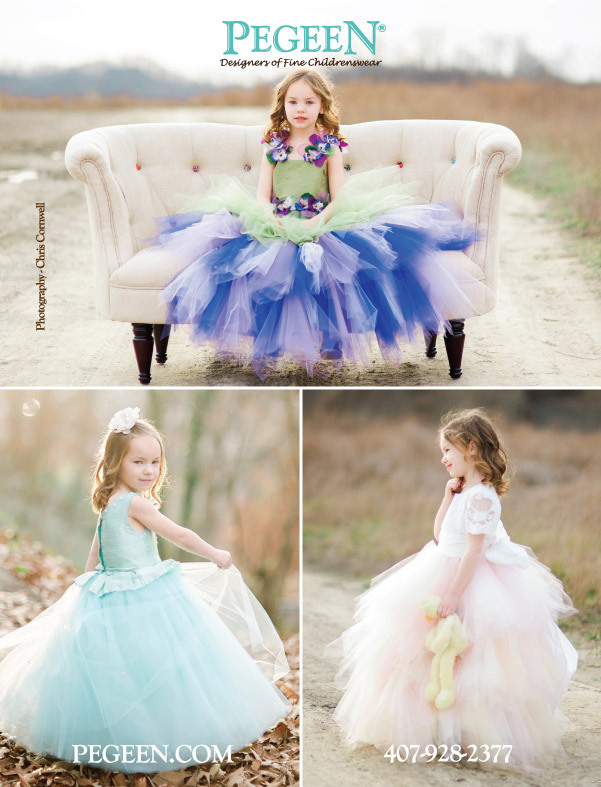 Christine Cornwell sent us some beautiful images for our Pegeen Tween Style 934. 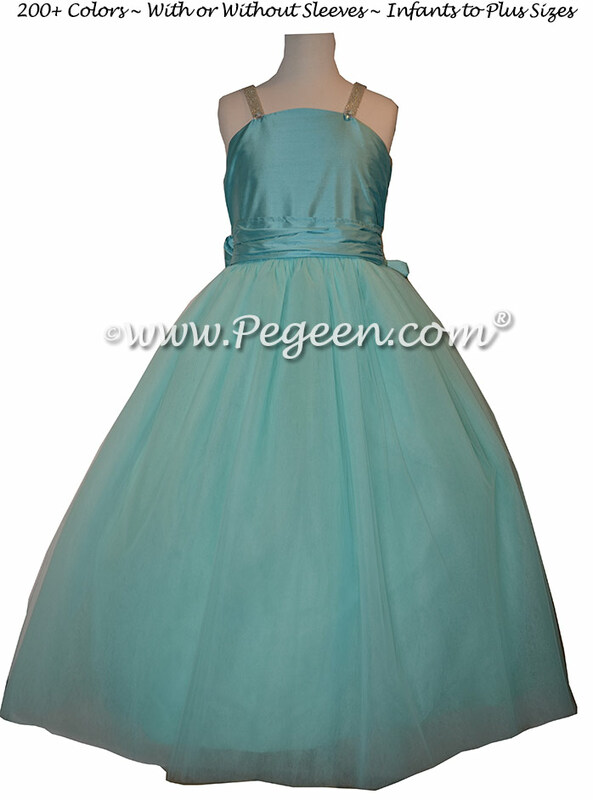 This dress comes in 200+ pure silk color combinations with either silver or gold tulle interspersed throughout the skirt. 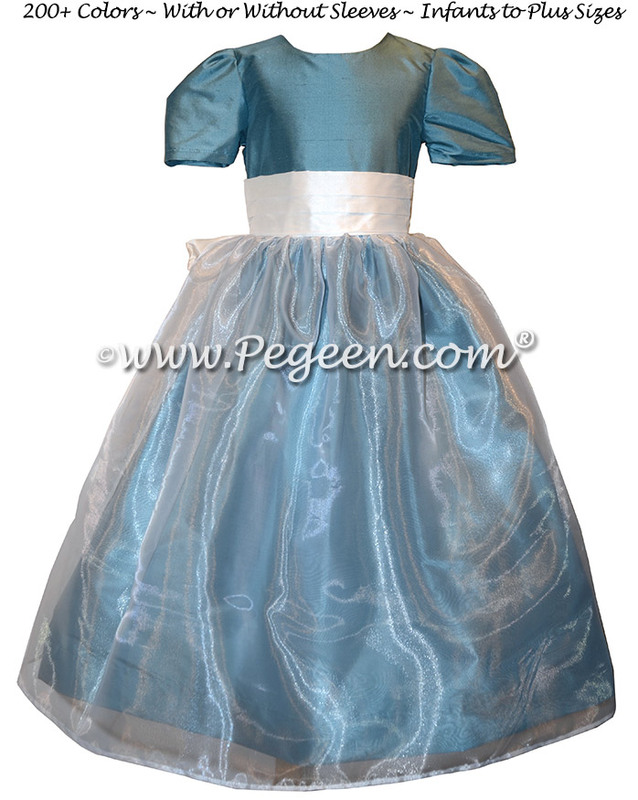 Are you looking for flower girl dresses for a conservative or Jewish Wedding? 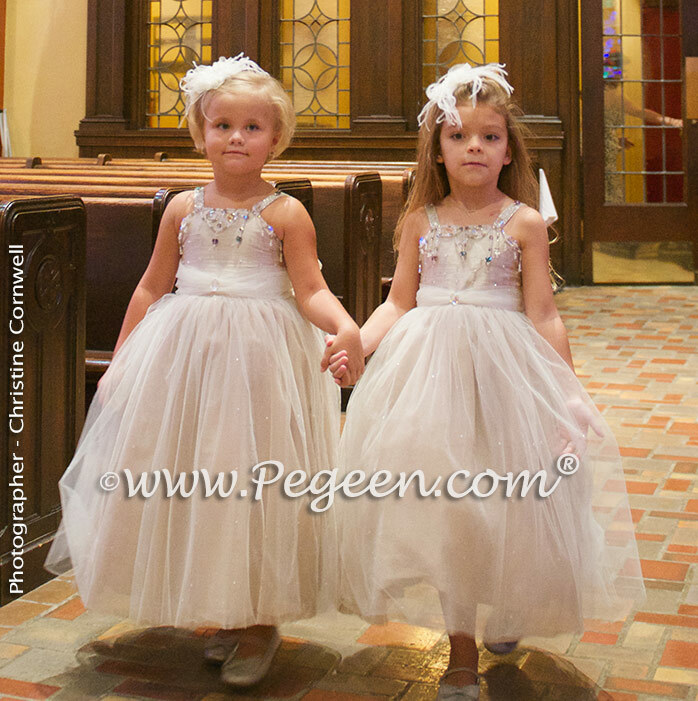 November 10, 2015 / FEATURED FLOWER GIRL DRESSES, Infant and Toddler Flower Girl Dresses, Jr. 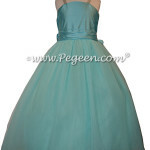 Bridesmaids Dresses / Comments Off on Are you looking for flower girl dresses for a conservative or Jewish Wedding? It is no wonder that moms call us and are completely frustrated. 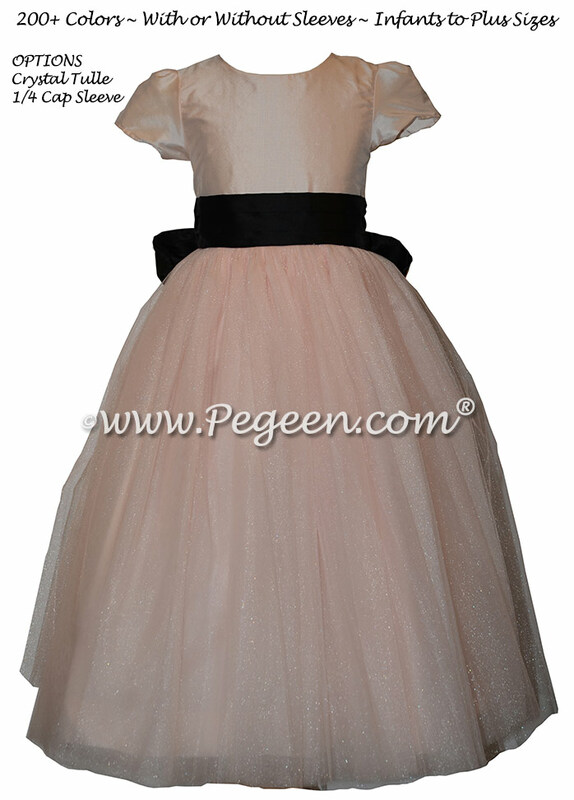 Imagine that you need a high neck and 3/4 sleeve dress and sometimes for 18 or 19 flower girls! Now imagine that your wedding is just 5 weeks away. It’s not possible to buy 22 matching dresses off the rack in a short period of time. It just doesn’t happen. 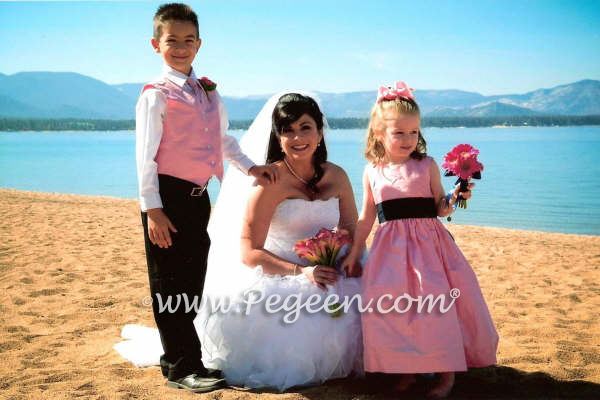 Pegeen.com has a wonderful program and we are able to deliver as many flower girl dresses necessary for your quick turn around wedding. 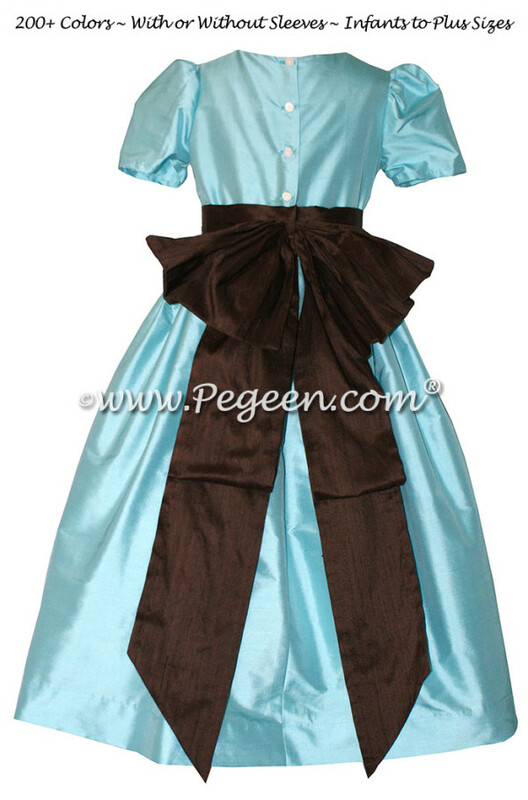 What’s better, you can order longer sleeves and higher necks at a small amount as well as floor length dresses, in silk with a petticoat and in a short period of time.